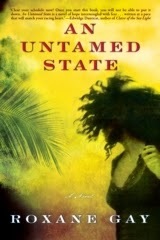 I read Roxane Gay's astonishing novel, An Untamed State, as if I were caught in a hallucination. About kidnapping and class, it's so powerful that it leaves an indelible mark. Roxane's an amazing writer. 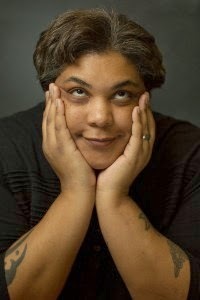 her work has appeared in the New York Times Book Review, Salon, The Rumpus, The Wall Street Journal, and she's the co-editor of Pank, and the essay's editor for The Rumpus. I'm so thrilled to have her here. Thank you, Roxane. I always want to know a novel’s origins. Can you talk a bit about what sparked the novel? This novel rises from a short story I wrote a few years ago, "Things I Know About Fairy Tales." For whatever reason, that story wouldn't let me alone. I kept thinking, there is more that needs to be told and so I began writing the novel. What I admired about the novel so much was that it wasn’t just a kidnapping story--it really is a story about race and class and what those divisions do to people. Would you talk about this please? Kidnapping is, in fact, a symptom of a much greater cultural malaise, where there is not enough to go around. This economic disparity is particularly glaring in a country like Haiti where there is such a small middle class. I wanted to explore, through fiction, what it would be like for people from two ends of the wealth spectrum to clash in such a complicated way that is fueled by desperation and rage. I also deeply admired the complex, sometimes prickly, characters in the novel. So let’s talk about craft. How do you build your characters? How do you build your novel? What didn’t you know when you started the novel that surprised you in the writing? I build my characters by inhabiting them. I literally walk around pretending to be that character until I feel like I know the character's every thought and desire and failing. Once I feel like I know a character well enough, I let my imagination run wild and try to imagine how they would respond to a given situation or circumstance. In terms of building this novel, I was, I admit, intimidated by the prospect of tackling something so big. I told myself I would write it as a bunch of little short stories, but after the first few chapters, I realizing I was composing parts of a whole. I didn't do any formal outlining but I always knew where the story began and ended and then wrote my way between those two points. When I began the novel, I had no idea how central Lorraine would be to the story. That really surprised me but in a very pleasant way. I like how she turned out. I fell in love with Mireille’s changing and deeply moving relationship with her stubborn, initially racist mother-in-law. For me, they truly exemplified both the problems of class and race differences, and yet, you showed, through them, a way to bridge that gap. Could you talk about that, please? People are a mess, you know? We harbor all kinds of prejudices and Lorraine and Mireille are no different. Interracial relationships introduce all kinds of challenges and for me, the biggest challenge has always been the mother and so I wanted to write about that through this novel but I also wanted to show Lorraine as a decent person, no more or less flawed than the rest of us. And she's strong and she loves hard and deep and we get to see that as she and Mireille grow closer. I’d love to hear you talk about the title: An Untamed State. The original title was Things I Know About Fairy Tales which I was fond of but it was also quite a mouthful. Then I started thinking about wildness but a book named Wild had recently been released so I thought about wildness some more, and this idea of being untamed, and being in untamed places and aha! The title came to me--An Untamed State. Reading the novel was like a fever dream--relentless, harrowing, impossible to stop reading. What was it like writing it? The writing of this novel was also like a fever dream. I wrote the first draft in a summer, and would lose myself in the story for hours and hours a day. 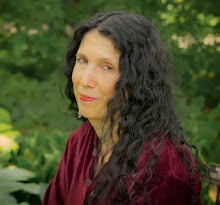 Once I found the emotional core of the novel and felt sufficiently inhabited by Mireille's voice, I was relentless with the writing. I was driven. 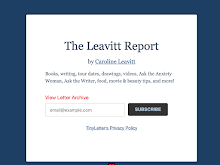 It was one of the most invigorating writing experiences I have had. What’s obsessing you now and why?What question didn’t I ask that I should have? Right now I'm pretty obsessed with the two novel projects I'm working on which are, as is most of my writing, about damaged women growing beyond their pasts. This is an obsession I don't think I will ever be free of nor do I particularly want to be. You should have asked, "What is your favorite season of One Tree Hill?" I loved Season 4. It was soapy and ridiculous.